Today, Baby Boomers and Millennials make up the largest demographic in the nation. Over the next decade, these two groups are expected to dominate the housing market as they gear up to purchase new homes. As home builders, architects, and design merchandisers, we need to be prepared with how to meet that demand. 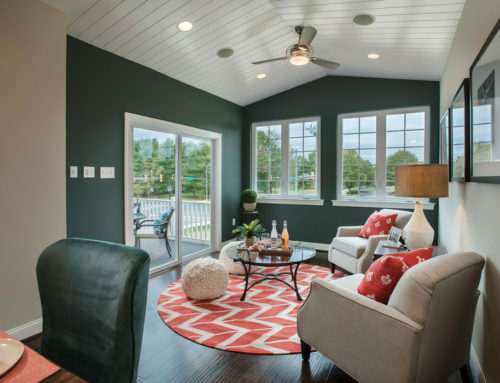 By incorporating design features that these buyers are looking for, we can successfully appeal to both groups, giving them exactly what they need, based on their similarities and differences. Keeping in mind the similarities and differences of the wants, needs, and desires of these generations, we can create designs that appeal to both Baby Boomers and Millennials. The desire to downsize. Millennials don’t have a lot of “stuff,” while Boomers no longer need as much space if they are empty nesters. Both buyer groups are looking for a smaller sized home to call their own. Anywhere from 1,850 to 1,900 square feet is the median size that appeals to both types of buyers. Focus on excellent kitchen space. Whenever a gathering is hosted, everyone eventually gravitates to the kitchen. It’s the “heart” of the home. Boomers and Millennials recognize this and are drawn to homes that offer an open, well-designed kitchen, optimized for entertaining guests and cooking together as a family. An open great room. These buyers imagine fun, social interactions to be happening in one central area. Both Millenials and Boomers are “experience oriented” and as such, often entertain family, friends, kids, grand kids, or co-workers. Integrating the dining, living, and kitchen areas for a space that can accommodate an array of situations is ideal for both types of buyers. Outdoor living space they love. Whether grilling outdoors on summer nights, playing in the yard, or enjoying the sunset with friends and family, both Boomers and Millennials demand outdoor living space and are often willing to pay $5,000+ for an upgraded outdoor area. Provide space for flex rooms. Boomers are looking for extra space that can change over time and adapt to their hobbies and interests. Millennials need space that can adjust to the increasing size of their family. Having this space readily available in your plans is ideal for both types of buyers. Pets need love too. For both Boomers and Millennials, pets are family members. Both groups appreciate particular space for their pets as well as storage space for all of their food, toys, and other necessities. A nook under the staircase for a pet bed or built-in storage in the laundry room will peak your buyers’ interest as they picture a comfortable area for their furry family member while keeping food and supplies out of view. Go easy on the stairs. Many Millennials are working around a fast-growing family with small children. Boomers are looking for space that requires less physical maintenance so they can focus more on relaxing and having fun. For both lifestyles, stairs can pose an inconvenience. Therefore, consider avoiding the use of stairs in your floor plans when you can. Separate living rooms. Boomers had formal living rooms in their prior homes that were rarely used. Now, Boomers don’t want or need that extra living area. It creates an unused space that requires unnecessary upkeep. Millennials, on the other hand, want a separate living room to “show off” for guests. Although this might be considered “formal” living space, Millennials will keep this area more casual than the Boomers’ previous formal living rooms. The great garage debate. Being conscious of the environment, Millennials tend to embrace public transit and ride sharing. They don’t necessarily need a garage for vehicle parking, although they may use it for storing bikes, sporting equipment, or garden supplies. However, they may prefer to have the square footage in the interior of the home, rather than in a garage. Boomers also use their garages for more than just cars. They may utilize them for work space, extra storage, or a place to keep their golf clubs, skis, and other equipment. Boomers often want a three-car garage even if they are a one car family. Energy efficiency. Energy efficient homes appeal to the Boomer population, saving them time and hassle. In fact, 76% of them are willing to spend the additional cost for upgrades for efficiency packages that can save them at least $100 a month. Millennials feel that these types of options should already be included in the home and aren’t going to pay additional for this feature. Storage. At this point in their lives, Boomers are downsizing but don’t necessarily want to get rid of all the items that they’ve collected over the years. Studies have shown that 71% of Boomers are willing to spend an extra $5,000 for an area designated solely for storage. Because experiences are more important than tangible items, less than half of the Millennial population are willing to pay additional for storage in their homes. Location, location, location. Premiums for a fantastic home site are popular among Boomers. This is not the case for Millennials. With less money to spend, Millennials are more focused on being close to good schools, lush parks, and shopping, rather than having a home on a premium site within the community. Boomers have the means to purchase a home with the best views, in a desirable part of town, or perhaps nicely situated on a golf course or near the beach. Boomers and Millennials have surprising similarities and some differences as well. 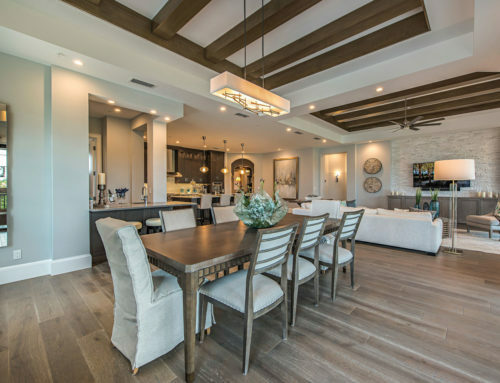 By paying attention to what they are looking for, architects, builders, model home merchandisers, and designers can deliver homes that resonate with these buyers and help them visualize their dreams. For more design ideas and how an interior merchandiser can help, please contact us today. And, be sure to follow us on Facebook, LinkedIn, and Instagram for all kinds of creative interior design ideas that appeal to both Baby Boomers and Millennials.